I must give credit to Brave Girl’s Club for prompting this adventure. 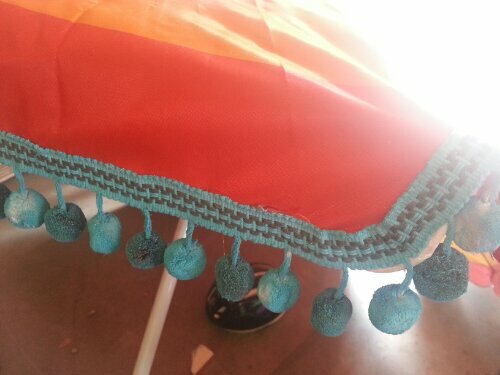 I saw a picture they posted with the cutest umbrella with little pom poms all around. I was thinking about how I haven’t found a solution for the hot five o’clock sun on the front porch yet. 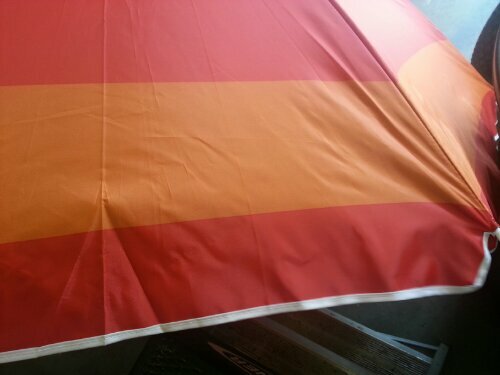 Then I saw these umbrellas at Aldi for $17! 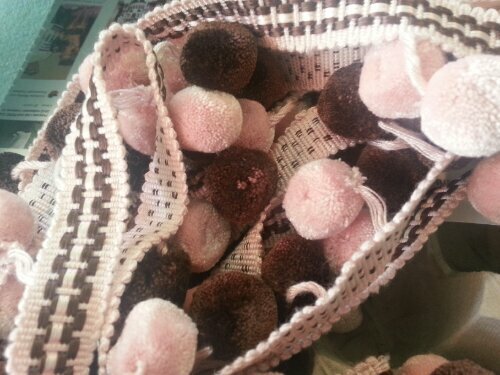 And THEN I remembered I had a stash of pom pom trim. 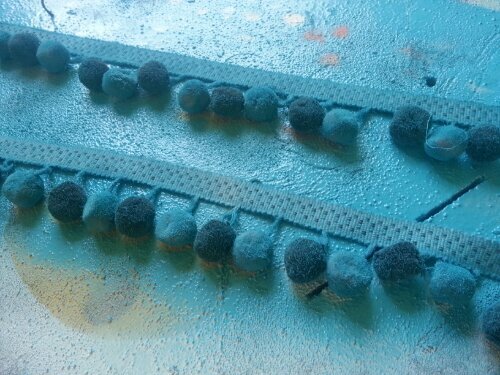 As we speak I am waiting for pom poms to dry. I like what I see so far. This entry was posted in decorating/style and tagged crafts, D.I.Y, splash of color, umbrella. Bookmark the permalink.